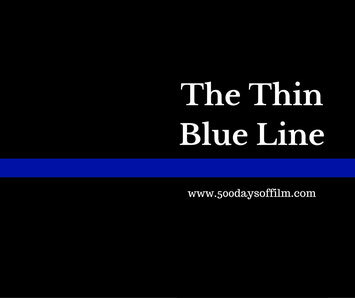 The Thin Blue Line, examines the case against Adams. It interviews all of the key players involved - including Adams, Harris, the presiding judge, detectives involved in the case and witnesses to the crime. Using these interviews and dramatic reenactments, the documentary argues that Adams was a victim of a grave miscarriage of justice. It suggests Harris was believed because he was a juvenile at the time of the murder and, therefore, could not be sentenced to death under Texas law. Never Miss A Review! Click For Our Free Weekly Newsletter! The Thin Blue Line is a truly remarkable documentary. Director, Errol Morris, set out to prove the innocence of Adams and highlight the fact that he not received a fair trial. It is a gripping film as Morris (who had worked as a private investigator) uncovers new evidence, pieces the story together and ends with a startling confession from Harris. The fact that the evidence presented in The Thin Blue Line led to Adams being freed, makes the film (and the documentary genre as a whole) feel immensely powerful. The Thin Blue Line also examines human nature and how the decisions we make can spin out of control - in this case leading to the most horrendous of outcomes. Despite knowing the story, the film made me feel incredibly tense - I was gripped as I watched the nightmare that Adams endured unfold. Morris has incredible access to all of the key players in the case and he allows them all to tell their stories. How powerful and yet how chilling to hear from Adams and then Harris. How interesting to get the detectives’ take on the case. Morris manages to break down each character and reveal his or her deeper motivations. Watching this film, I couldn’t understand how Adams could have been charged with Woods’ murder, let alone be found guilty. However, the Dallas police wanted tough justice and the jury were convinced that a guilty verdict was (like the thin red line from Rudyard Kipling’s poem, Tommy) all that stood between society and anarchy. The Thin Blue Line was successful in what it set out to achieve. The film helped to secure the freedom of Adams. It also elevated film (and documentary film in particular) to a higher level - one capable of bringing about real and powerful change. Adams was released from prison after serving 12 and a half years. Some of that time was spent on death row. Adams died of a brain tumour in 2010. Harris was never charged with the murder of Woods. However, in 2004 he was executed via lethal injection for another murder - that of Mark Mays. Have you seen The Thin Blue Line? If so, what did you think of this powerful documentary? I’d love to know - leave me a comment in the box below!